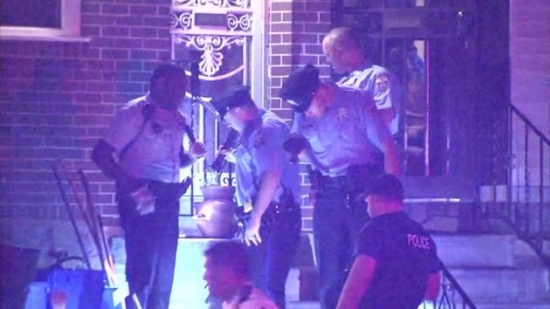 During the deadly shoot out on Wednesday night in West Philadelphia a total of 109 gun shots were fired by nine different officers. Philadelphia Police Commissioner Richard Ross said that the number of shots fired in the shoot out is of "serious concern." Police shot and killed 32-year-old Christopher Sowell after he had gone on a violent stabbing rampage that left three children and two women injured. Ross commented saying that the officers who shot Sowell had every reason to believe he was armed when he reached into his pocket. Police did find several weapons on Sowell, but have not yet recovered a gun from the scene. After making a deal today with government officials, New Jersey Governor Chris Christie announced today that the gas tax in New Jersey will be raised 23 cents per gallon. Christie also announced an eight-year deal to eliminate estate tax and cut sales tax as well. The estate taxes will be phased out over the next year and a half, and the sales tax will be cut 3/8th's of a percentage point. The deal will also bring tax credits to veterans and the working poor. This deal marks the first gas tax increase since 1988. Tonight, Rain continues with a low of 59 degrees in Center City.